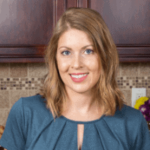 Published: Apr 5, 2018 · Modified: Apr 11, 2019 · By Jen Sobjack · This post may contain affiliate links. 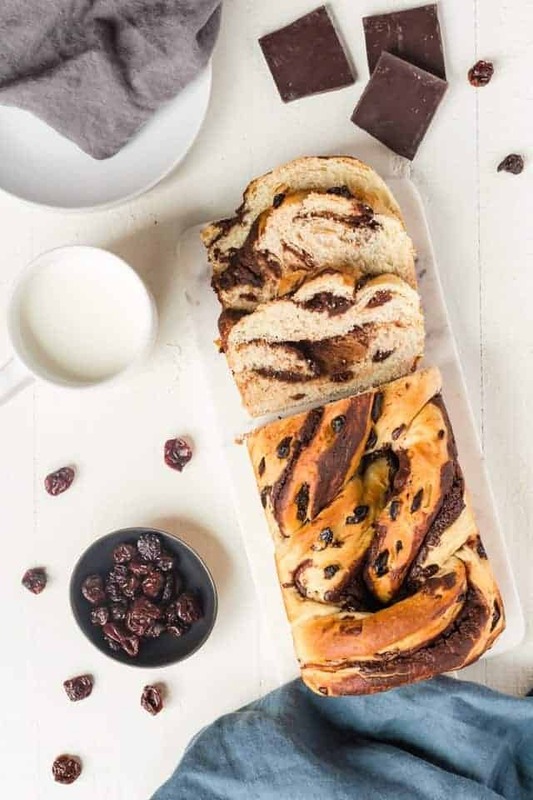 Did you grow up eating cinnamon raisin bread? It was a special breakfast treat that my family would enjoy just a few times a year. 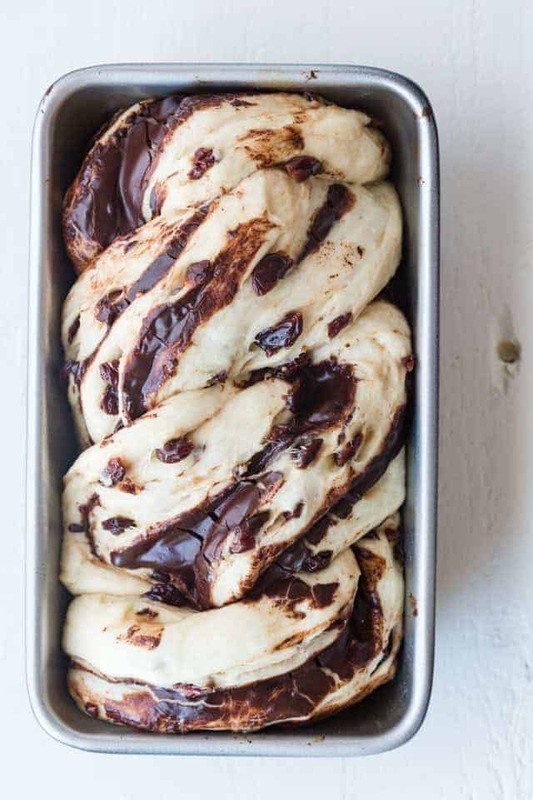 This soft, swirly bread is what inspired today’s chocolate cherry swirl bread. 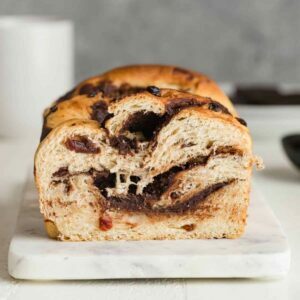 It’s buttery, speckled with tart dried cherries, and filled with swirls of gooey chocolate. This swirl bread didn’t last long at all. I think we gobbled it down within a day or two. I had some trouble getting the recipe exactly the way I wanted. It took several attempts to develop a bread that was moist, sturdy, tasted like cherries, and had just the right amount of chocolate. Yeast bread is one of my favorite breads to make. Rosemary olive beer bread, slow cooker orange sweet rolls, and buttery jam biscuits are a few of my very favorites. 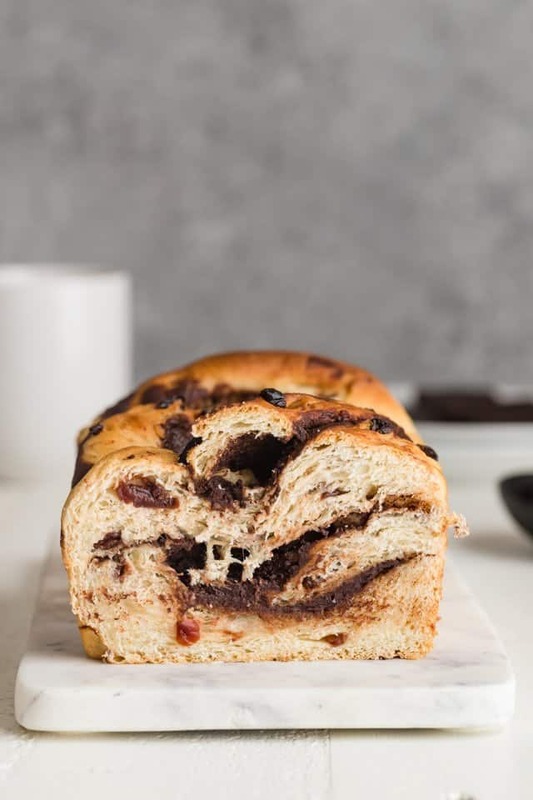 There are so many different ways to make chocolate swirl bread and I tested quite a few before I went back to my old trusted recipe. The one for the cinnamon bread stated above. The dough is very forgiving and will yield the perfect texture every single time. I used Red Star® Platinum Yeast and was pleasantly surprised at how reliable this yeast is. I didn’t activate it beforehand like I usually do with active dry yeast and the dough baked up beautifully. Start by combining most of the flour, sugar, salt, and yeast in the bowl of a stand mixer. I prefer using the stand mixer because it does all the kneading for you! Pour melted butter and warm milk right into the dry ingredients then let your mixer do all the work. Once the dough starts to come together, add the remaining flour and continue to let the mixer knead the dough until it’s no longer sticky. 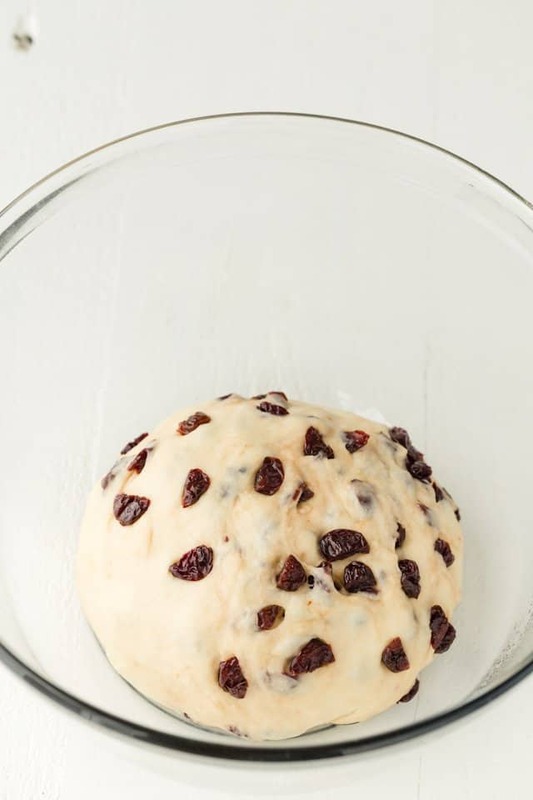 At this point, gently knead in the dried cherries. The dough requires two rises. The first one will happen after it’s fully kneaded and the second one will happen after the dough is filled and shaped. Make sure the dough is placed in a warm environment to rise. I like to preheat the oven and allow the heat to warm the microwave that sits right above. Then, I cover the dough and place in the microwave where it’s nice and cozy. It will take about an hour for the dough to rise. Once it has doubled in size, gently punch it down, roll it out, and slather it with chocolate. Next, it’s time to shape the bread. The method I used for shaping the bread isn’t like the tradition swirl bread where you simply roll it up and bake it. I tried that and the chocolate was so heavy inside the bread that it left a giant cavity right in the middle. To avoid this problem, you’ll need to roll to chocolate covered dough into a log, cut the log in half lengthwise, adjust each half so they are cut side up, and braid them together. 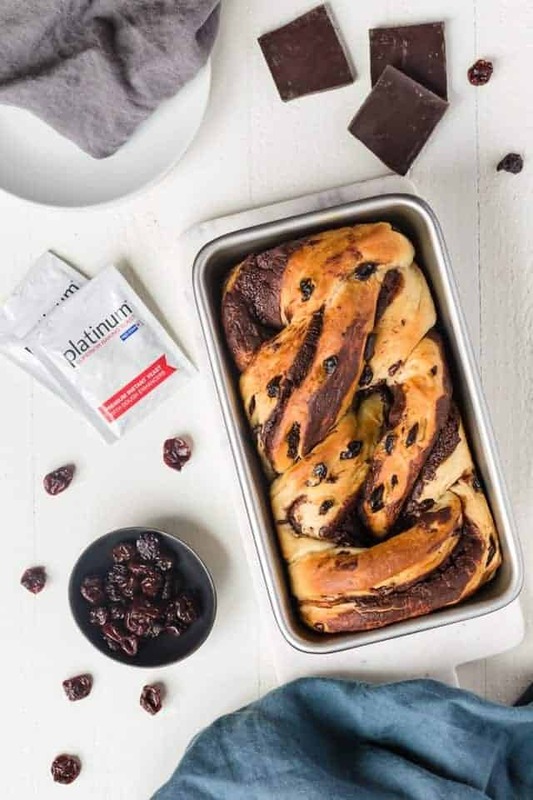 There’s a video right above the recipe, down below, that shows you the full process of making chocolate swirl bread with cherries. This method for “swirling” the chocolate in worked perfectly! 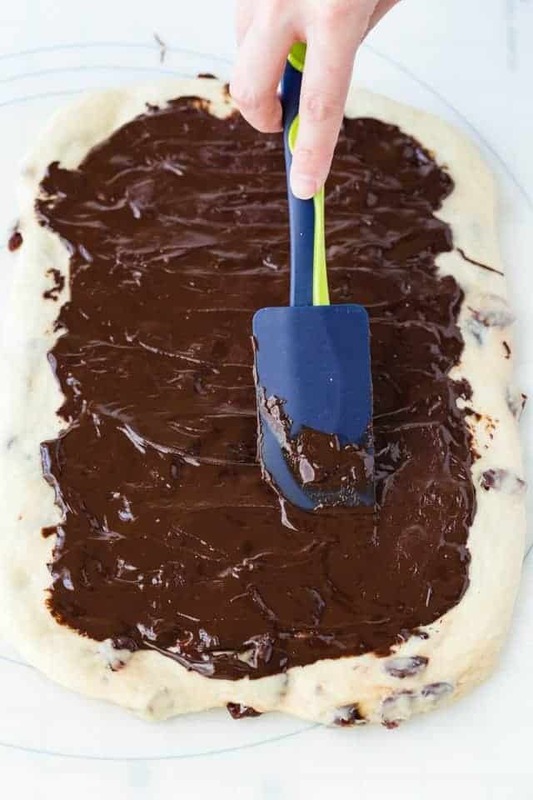 It can be a little messy but I found that letting the chocolate cool down before spreading over the dough helps to keep it from squishing out as you roll, cut, and shape the bread. Basically, you want the chocolate soft enough to spread but not so warm that it’s oozing everywhere. Don’t be intimidated by the process here. It sounds more difficult than it really is. Read through the full recipe and watch the video before you begin. Please visit RSY.com for more recipes, yeast baking tips, coupons and more. You can also follow Red Star Yeast on social media on Instagram, Facebook, Pinterest, Twitter, and Google Plus. Add 2 and 1/2 cups of the flour, sugar, salt, and yeast in the bowl of an electric stand mixer fitted with the dough hook attachment. Use a wire whisk to whisk until well combined. Add the melted butter and the warm milk. Beat on low speed until the dough begins to come together. 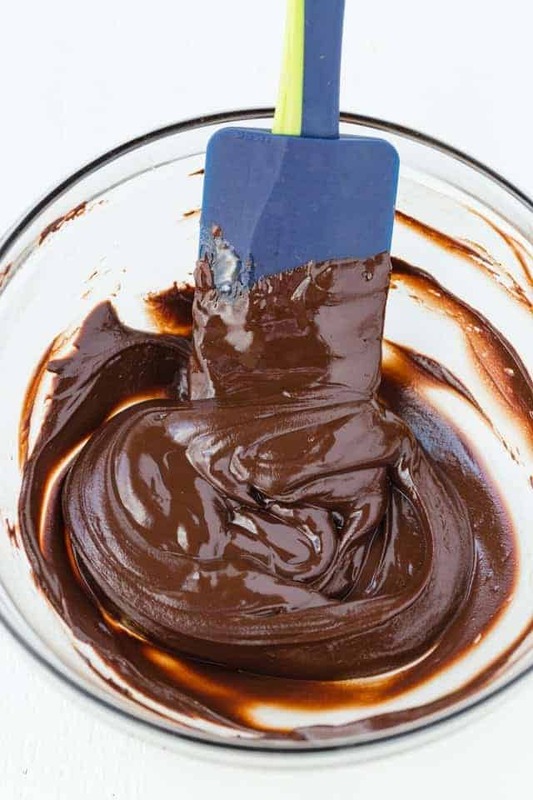 Remove from heat then stir in the confectioners’ sugar and cocoa powder until fully incorporated. Set aside to cool until it’s no longer runny but still soft enough to spread. Generously grease a 9×5 inch loaf pan with butter or nonstick spray. Set aside. Gently punch the dough down and turn it out onto a lightly floured surface. Roll the dough out into an 8×13-inch rectangle. Spread the chocolate filling evenly over the surface, leaving a 1/2 border uncovered. The bread will keep for about 2 days wrapped tightly in plastic wrap and stored and room temperature or for up to 1 week stored in the refrigerator. A stand mixer makes the process so much easier but if you don’t have one, simply mix the dough in a large bowl with a wooden spoon then knead by hand.